Healthy eating is healthy living. Some small changes in our daily food habits can make a big difference in our overall health. One such change is switching to olive oil for cooking. Olive oil is the extracted fat from olives, it is a fruit found in the Mediterranean region. The oil is produced by pressing and grinding the olives. It is a powerhouse of nutrients and brings a lot of health benefits with each drop. Also, is considered an ideal fit for diabetic patients. 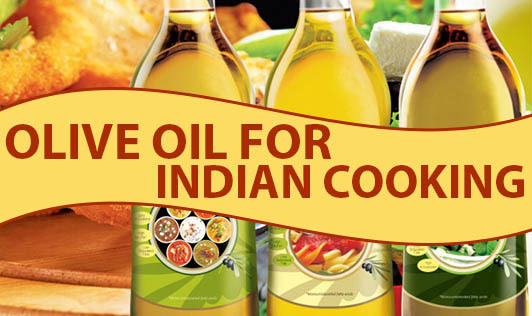 Indian cooking which involves a lot of deep frying, sautéing and tempering should opt for extra light oil which is specially created keeping in mind the needs and methods of the Indian way of cooking. The extra light olive oil which has a high smoking point is apt for deep frying foods like, pooris and fritters. The extra light olive oil has no aroma and has got no pungent flavors of olives which further relates the dish for Indian cooking. Pomace Olive Oil is the only olive oil that can be used in all methods, types, and varieties of Indian cooking. Indian cooking whether fried, roasted or cooked by any other method tastes good with pomace olive oil. During the frying process, the oil hardly penetrates the food, leaving it light and digestible. The oil does not break down, provided the temperature does not exceed 190c. Olive oil without being heavy on the platter is still packed with all the goodness of the oil that can be relished daily! !